This opinion piece was written by Wesley Enoch for The Australian on 22 January. Read the article here. Everyone has a favourite memory of Sydney Festival. We’ve been going for 43 years. Remember when Sydney Festival ran New Year’s Eve? Remember that Nick Cave show? The Ferrython? A fantastic outdoor concert? The great shows from Complicité, Schaubühne Berlin, Cheek by Jowl, or that show with John Malkovich? Sydney Festival is in the business of making memories and we are good at it. The most persistent memory has to be Festival First Night, which was held only five times and finished in 2012. People remember the huge music and dance takeover of the city that heralded the beginning of the festival in those five years and attracted over 200,000 people to the streets of the Sydney CBD. During this time, Sydney Festival attendances grew to around 500,000 making us one of the biggest festivals in the country. But when the $2million special funding for Festival First Night ended in 2012, Sydney Festival changed its focus so we could achieve the same outcomes through different strategies, and as a result, reach a different audience. We introduced more family friendly long term public art installations like Rubber Duck, The Beach, Sacrilege and ALWAYS, beefed up the Hyde Park ‘Village’ through free outdoor performances and hospitality, and offered more free outdoor activities in Western Sydney. Somehow the memories of Festival First Night stay so vivid that many think it still happens, despite the fact the streets of Sydney would not have been able to accommodate such an event over the past three years. We’re already imagining a time in the near future when our city streets are returned to us – Sydney Festival will be there. No two Sydney Festivals are ever the same. Change is inevitable. Festivals are great at prototyping change, investigating who we are, addressing important civic questions and seeking out the important stories. Artists are well positioned to see the world differently and shine a light on the deepest, darkest corners of the human condition. This year, works like Daughter and Deer Woman tackle the issue of misogyny and violence, Old Stock and Counting and Cracking illuminate the migrant experience, while Man With The Iron Neck addresses the nationally important issue of youth suicide in Indigenous communities and modelling resilience and healing. Every Festival director for the past 20 years has programmed Indigenous projects and engaged in important discussions in their own way. 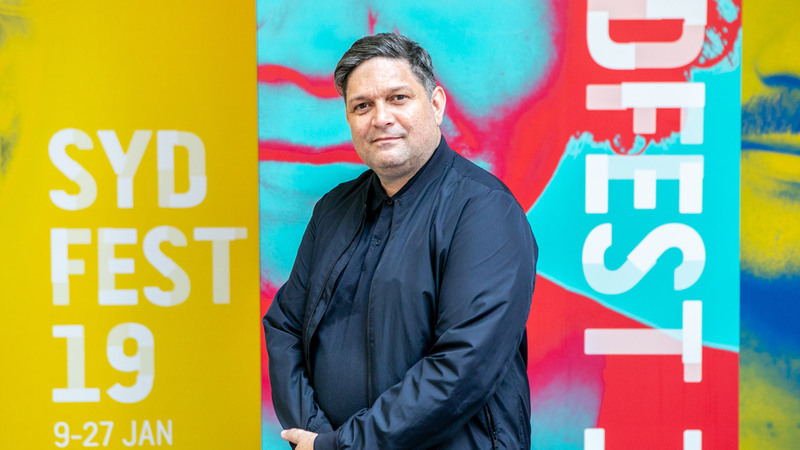 Indigenous sovereignty and perspectives remain fundamental issues to who we are as a country and how Sydney Festival operates as a national leader. The ALWAYS sculpture at Barangaroo Reserve and the upcoming Vigil on January 25 invite all Sydneysiders to reflect on colonisation and our Indigenous histories, creating a touchstone for the uneasy feelings that have been surfacing around how we mark our national day. At this time of year, this is the biggest recurring topic Australia deals with – it goes to the heart of our identity as a nation and the role of our national day. We need to find inclusive ways to celebrate who we are and commemorate our fullest history. ‘Change the date/Don’t change the date’ is an important issue but not the only one. How do we change the hearts and minds of Australians? How do we incorporate what Noel Pearson refers to as the three narratives of our country (the oldest living culture on earth; the British colonial project; and, the most successful multi-ethnic, multi-cultural country on the planet)? Sydney Festival would not be doing its job if we didn’t look to the history of our First Nations to unpack some of the assumptions around January 26 and these fundamental concerns. Not everyone likes everything Sydney Festival does and no-one hates everything either. Some people love the quirky, unique international shows, some love to take their family to the free public art. Some love the traditions of going to hear Sydney Symphony Orchestra doing the 1812 Overture, some think it’s naff. Some travel all over the city to experience events, others think Western Sydney is too far. We are a festival for the whole city and continue to offer ticketed shows and a huge free public program. I have been extremely excited by how Sydney has embraced the shows and activities in our 2019 program. Over half the Festival offering has sold out, reaching many of our financial and attendance targets by the end of the first week. The thousands of bike riders donating kilometres to Fly Me To The Moon has meant we will reach our goal almost a week early. Though the shape of what we do might change year-on-year, the outcomes are on track to deliver to Sydney what we have been successfully achieving for the past decade. I loved Festival First Night too but I also love the fact that almost 20% of audiences for Shànghǎi MiMi are from the Chinese community, that the Sri Lankan community has gotten behind Counting and Cracking, that over 50% of the audience for Sydney Symphony Under the Stars is culturally diverse and that we have enabled Australian artists to tell our stories and create an ambitious 18 world premieres. We can sometimes hunger for what we already like but I think a festival is about showing you the new things you didn’t even know you wanted. How do you measure success? There are so many ways but it is never about sticking to the safety of nostalgia. Sydney Festival takes place 9-27 January 2019.